Description: POV driving by storefronts in a farm town square. 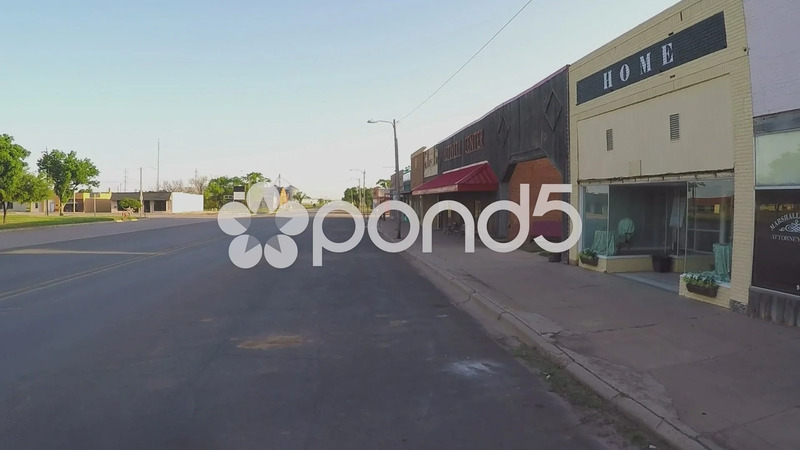 A driver passes by several small businesses in a small rural city along a vacant road in downtown area. Part of a series of clips by ChromaVid featuring building and business stock video.